Only things officially mentioned were EMDs. Damn that looks like UP-N or NW. 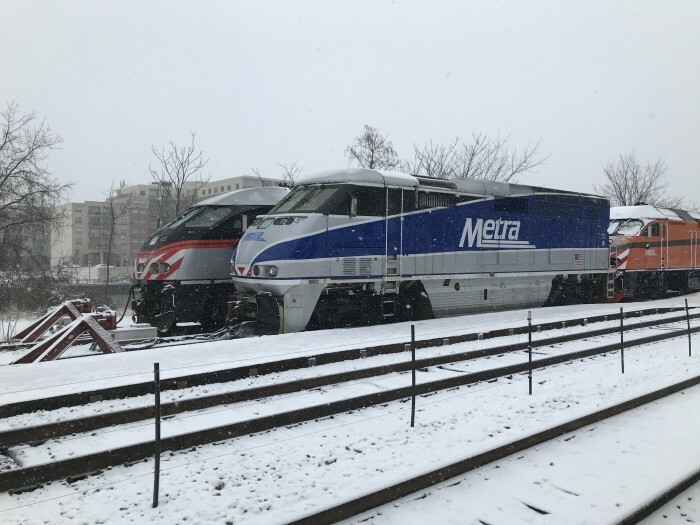 Since when does Metra use a yellow Union Pacific freight engine to transport cars between the western yard and downtown? I've been seeing this, saw one yesterday going over hubbards cave on the way to south shops. Thought I saw one before that. UP has always uses UPY locos to transfer cars between Western and downtown. I saw GP7s being used in the 1990s, they now use GP38s as well as one switcher. There are usually at least two at the downtown terminal. 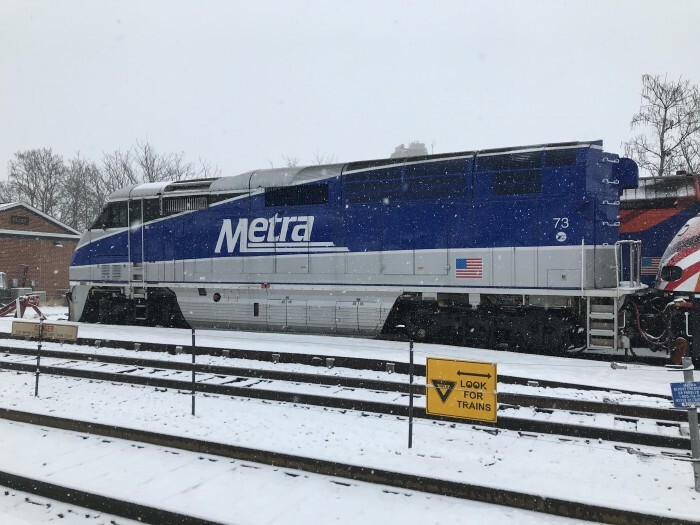 Remember UP operates Metra trains on UP lines with UP crews, The F59PHI are in use on MD, they do not have the cab signalling for use on UP lines. It would make sense. The MD-N is supposed to be pilot testing bidirectional service starting in January so they will need engines. It's just 2 trains but it could and will be most likely expanded. The MD-N is supposed to be pilot testing bidirectional service starting in January so they will need engines. Probably not. 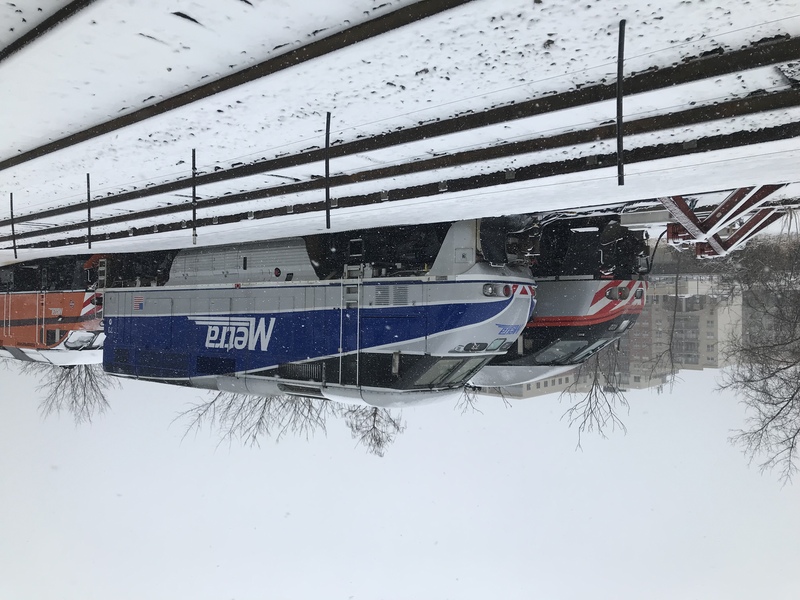 The trains are already bidirectional to Deerfield. 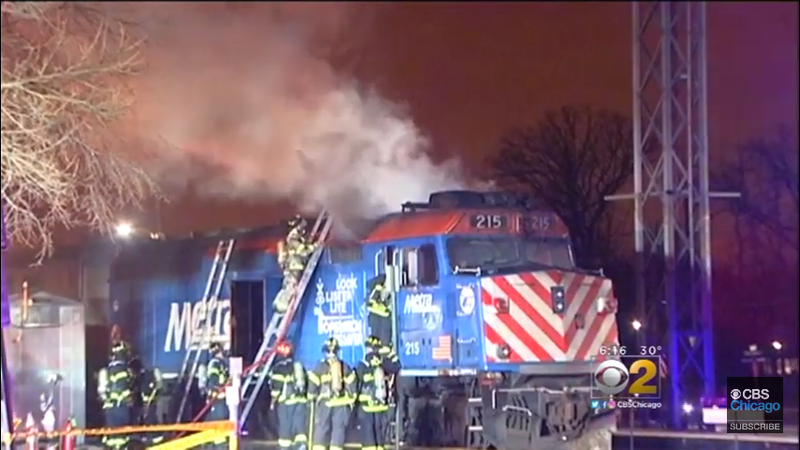 The rationale was that Metra wasn't going to overhaul some engines. No, that's on the north throat out of Union Station. The bridge is all of the UP lines going over it. I believe it was once owned by the Pennsy & called the Panhandle Division, which went to the Pennsy coach yard. In the picture yeah, my sighting was over hubbard's cave. But I see I might have goofed in what was quoted. Back long ago I thought all that fed the old train station by the merchandise mart that no longer exists. There is a building with a clock tower on the chicago river i believe between clark and LaSalle. Dont know if that might have been an original building or not but clock towers and train stations went together back in the day. Actually UP has a yard around Pulaski. The Western Yard is MD. 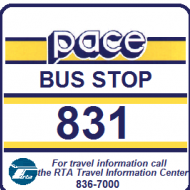 The UP California Ave coach yard is closer to Western Ave than the MD Western Ave yard which is along Grand Ave! The red brick building on the river is the Reid, Murdoch Building. Originally it was a grocery warehouse. It was also used as a makeshift morgue after the Eastland sank. For decades it was owned by the city & called the Central Office Building, but was known to most people as Traffic Court. Now Brittanica has its name on the clocktower, which is just a front for the water tank. The original C&NW station was where the Merchandise Mart is now. 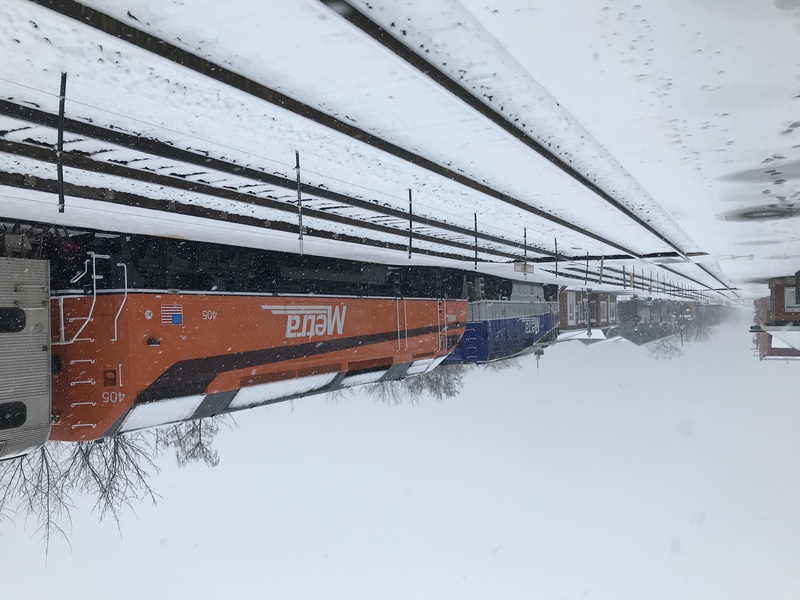 my dad worked at the C & NW California Coach Yard and the 40th Street yard by Kinzie and Keeler as a Diesel Locomotive mechanic back in 1974 then in 1977 he transferred to Proviso Yard as a Diesel Locomotive mechanic. 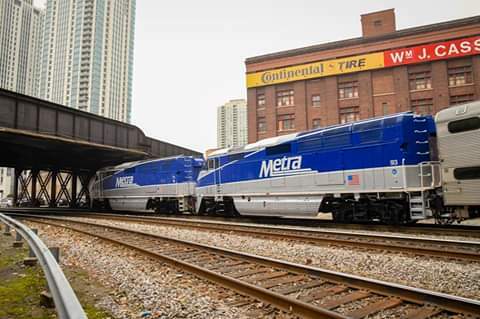 According to first and fastest on facebook they claim that theres a milwaukee road liveried Metra engine. You know there was a Rock Island livery that they had made up for a retiring employee. 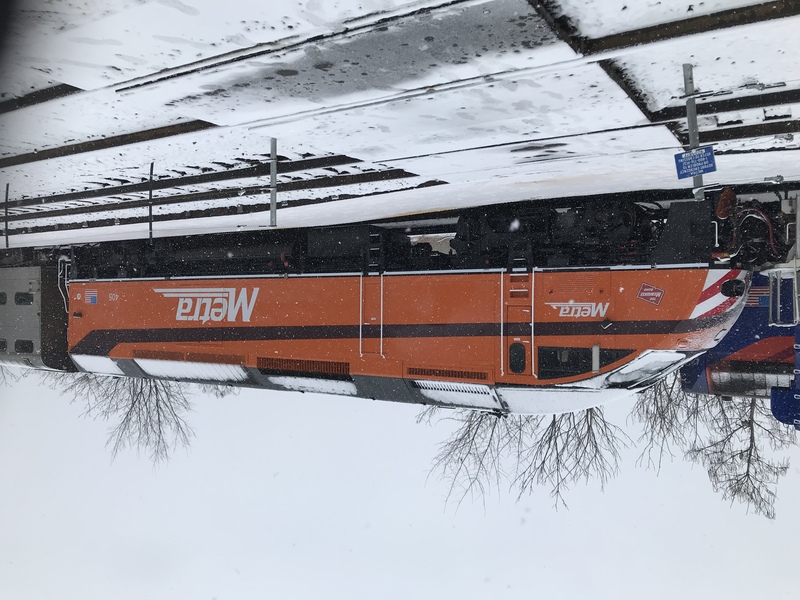 Would be kind of cool if they did a cnw one but Union Pacific wouldnt probably let it run on there line but the same could be said with milwaukee road and cn. Kind of interesting they mention it's a heritage engine. 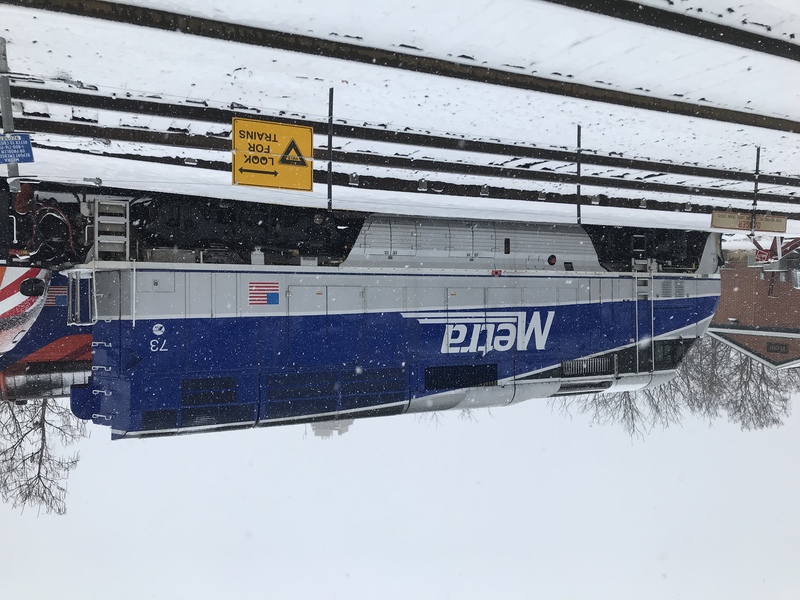 Metra has heritage engines? At some point north of Union Station (Canal St?) track ownership became PRR and MILW joint. PC still switched a few industries such as the grain elevator at Ogden after their line south of the split at Western was abandoned. 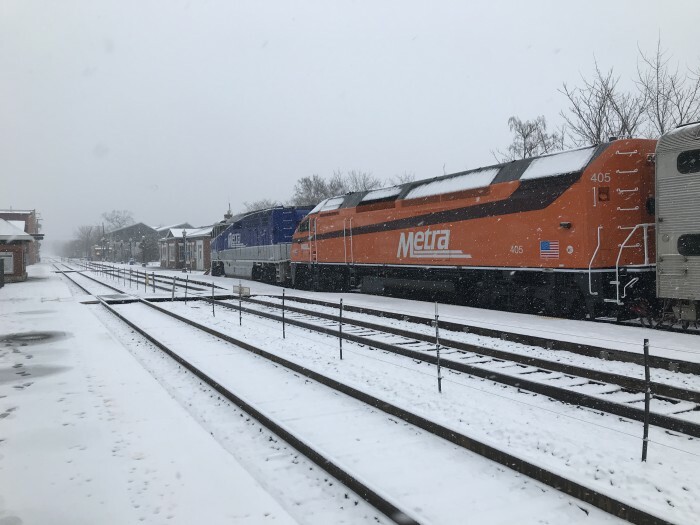 NS still has trackage rights though Metra is now the sole? owner. Years ago, CNW ran transfers from PRR 55th St freight yard up thru Union Station and over to Western Ave over these tracks and then got on their own line to 40th St Yard. been said that 405 is probably the worst MP36 they could have wrapped in terms of performance. Then this pair (73-405) crapped out at Bensenville on Friday afternoon and had to be dragged back downtown. the curve across Canal Street on its initial trip. 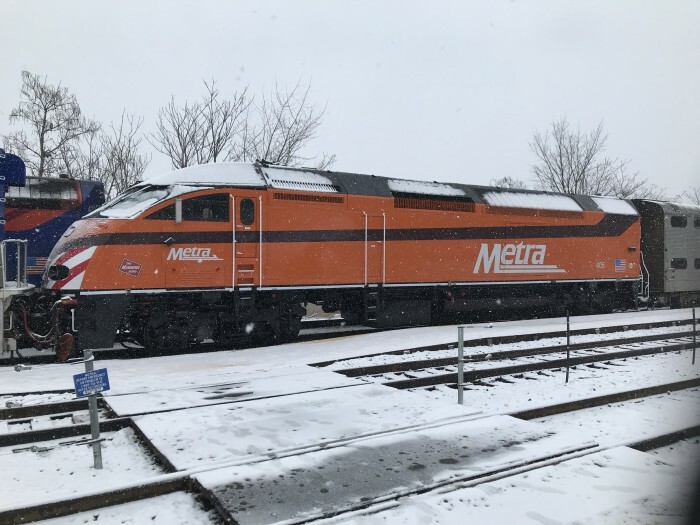 I know you were only linking to the YouTube posted by Metra, but, in general, since they painted it, why didn't they paint it in Metra colors? Not necessarily. Depends on what caught fire. Locomotives that have internal fires usually can be fixed. Does not look like body got damaged, so probably fire was electrical.